Written By: Ty Churchwell This week marks a rather unsavory anniversary for the people of the Animas River Valley in southwest Colorado. Two years ago, on August 5th, EPA contractors doing some investigative work at the Gold King mine accidentally released over 3 million gallons of heavy metal-laden mine water into the headwaters of the Animas River near Silverton. The plume of mustard yellow water was a visual reminder of the many draining mines in the upper watershed and made international news. 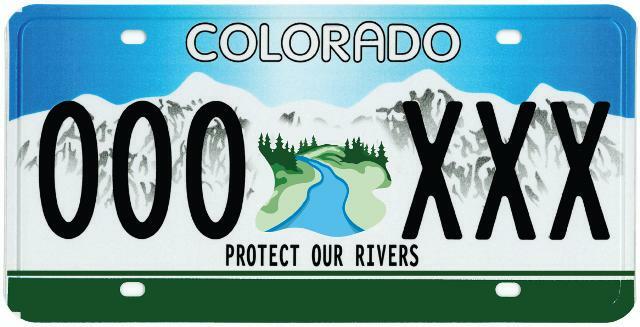 One of Colorado’s finest trout fisheries was deemed a toxic mess by the media, and Durango was seen as an unhealthy (a community with tourism as a foundation of its local economy). This characterization probably sold lots of newspapers, but is far from the truth. As the plume of dirty, yellow water approached Durango – eight hours down river from the source - biologists from Colorado Parks & Wildlife placed a wire cage in the Animas full of fingerling trout as indicators of toxicity. Not a single trout in the cage died, and local anglers did not report any dead trout in the river in the days and weeks following the spill. It appeared the Animas’ Gold Medal trout water had dodged a bullet. We now know this to be true. For those of us who live here and are intimately aware of the issues with mine-related water quality in the headwaters, we know the reality. The dozens of draining mines near Silverton discharge the equivalent load of metals as one Gold King spill every 5-7 days, and have been doing so for decades. The natural loading of metals alone has been occurring since the beginning of time. While there are acute impacts to the fishery way up top, the fishery in Durango remains a vibrant and notable brown trout destination for anglers. We do not wish to minimize the Gold King spill. But, this was just an event and does not define our community or river. Looking on the bright side, there have been a number of silver linings to this unfortunate incident. 1) The issue and threats of acid mine drainage (AMD) in the west has been brought to the attention of other communities where legacy mining exists in their headwaters. EPA estimates that 40% of western headwater streams are impacted by AMD. 2) Lawmakers in D.C. are finally paying attention to the problem of AMD in the west. This may prompt regulatory changes, such as enactment of Good Samaritan legislation and/or reform of the General Mining Act of 1872. 3) The elected leaders of Silverton, recognizing something must finally be done, made the decision to seek a Superfund cleanup of the many mines impacting water quality. In September of last year, the upper Animas River was formally placed on EPA’s Superfund national priorities list. Crews are already in town and the multi-year cleanup process is underway. With the Gold King spill in our rear view mirror, TU and local anglers are looking forward to helping craft programs that mitigate the impact of mine drainage in our headwater streams. In the meantime, the Animas River in Durango remains one of the finest trout fisheries in Colorado. One need not travel to Chile’ to net a 27” meat-eating brown trout. We here in Durango know those monsters reside in the Animas right now. With cleanup efforts underway, this amazing fishery can only get better. Follow along with the progress at www.WeAreTheAnimas.com. This article was written by Ty Churchwell, San Juan Mountains Coordinator for TU’s Sportsmen’s Conservation Project located in Durango, CO.